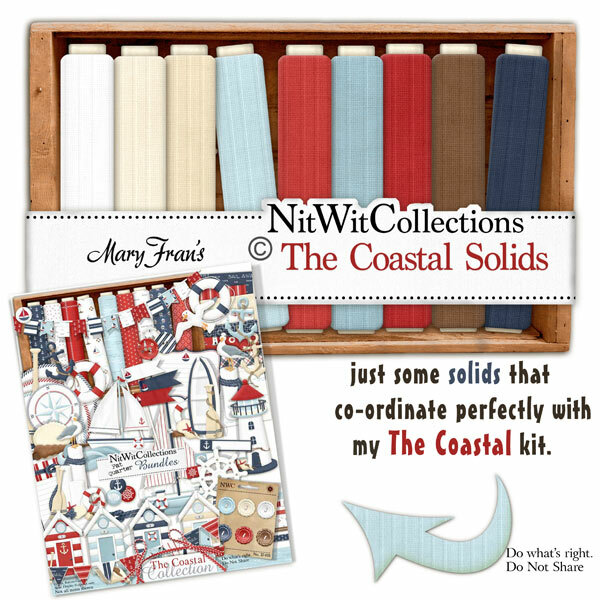 "The Coastal" Solids are the coordinating solid digital background papers for this kit. These richly coloured papers have a ribbed pattern in them that are perfect for many uses. These solid digital papers are NOT included in the FQB "The Coastal" Collection so please don't miss out! 10 Solid digital background papers with a ribbed embossed pattern in them, that coordinate with my "The Coastal" Collection. This product was added to our catalog on Wednesday 14 August, 2013.